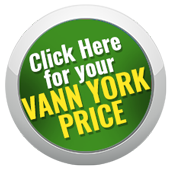 Vann York Nissan makes it easy to get on the road! It's your access to reliable transportation that concerns us, not your credit score. We will do whatever we can to get your loan approved near Winston-Salem, North Carolina. Credit is part of adult life. Most people have to borrow funds when they are making a significant purchase like buying a house or car. We know that sometimes things happen that are just out of your control. If you have suffered through divorce, foreclosures, or bankruptcies, we applaud you. You can look to our dealership to assist you! You deserve a positive experience when you buy a new car. Not a negative reminder of your adverse credit history. Contact our finance team when you want access to real debt relief. Our ultimate goal is to help you secure financing on a new or used Nissan vehicle from Vann York Nissan. Just apply for financing today and we will contact you! Our secure financing option makes it easy to access a sub-prime auto loan. We are ready to help you, apply today!